Crossbank was fortunate enough to have the first privately owned Conebeam CT scanner in Cumbria almost a decade ago. Since then we have vastly improved our knowledge and understanding of its application within dentistry as a whole, not just for implant surgery. I have known that tighter regulation was on the horizon for many years and following guidance by the HPA, IRMER have recently released its requirements for dental Cone beam CT. We waded through the new CBCT regulations in IRR18, IRMER2000, the HPA regulations and with CQC to try to provide a succinct and useful summary. This not only affects Crossbank as a CBCT provider but there are distinct and important changes for many who refer for CBCT’s. As a provider, Crossbank must have in place a Service Level Agreement (SLA) with each and every colleague that refers for CT scans. Additionally as the operator and practitioner present at Crossbank Dental Care, the owness is on me to confirm that any examination referred is justified. I must personally authorise each OPT/CT scan with a written signature. What this means for you is that if you are unable to comply with the new requirements below, I will no longer be able to authorise your CBCT referrals! Please download our SLA here and return via post or e-mail ([email protected]) so that I may have your written confirmation of our agreement. I would be pleased if you would forward evidence of any CBCT interpretation training along with your SLA - don’t worry if you don’t have any - help is coming!! Another change you will notice is increased specificity on our referral form. i. Referrers must include a tooth notation that will be used as the centre of the image, irrespective of whether the view is 5x5, 10x5, 8x8 or 10x10. ii. Once the form is printed off at Crossbank there will also be a section for both myself and your patients to sign - we need their written consent on the day of the CBCT examination. The CQC have imposed additional checks on CBCT equipment which will be required annually and a recent quote from Carestream was £7,500 p.a. Sadly Crossbank can't soak up all of this cost. You won't be surprised that we have to increase the cost of each CBCT examination, which you may or may not wish to choose to pass on to the patients. Therefore, evidence of appropriate training is required e.g. certification from a training course covering the core curriculum published by the HPAAs a referrer, practical training in the use of the imaging software will be required. Unfortunately this means that unless you can provide evidence of this, you will no longer be permitted to refer for CT’s. Additionally you must be adequately trained in the interpretation of the images. For most GDPs you will almost certainly require additional training in dental CBCT interpretation including the use of the software. Within the HPA guidance there is a core curriculum for the safe use of dental Cone Beam CT. As well as specifying the adequate training standards for practitioners and operators involved with dental CBCT, the core curriculum also specifies a training requirement for referrers. This includes practical training in the use of the imaging software and radiological interpretation of the dental alveolar region. We have been advised that any practices referring for dental CBCT examinations should arrange training for their clinicians to meet the core curriculum as soon as possible. My own radiography qualified staff will also undertake the appropriate training to ensure there will be no interruption in the referral process. 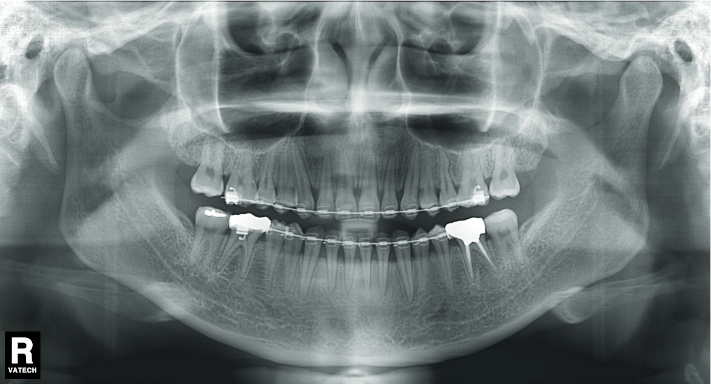 The Core Curriculum is limited to CBCT examinations of the dental alveolar region. Examinations extending into other anatomical regions such as the airways at the base of the skull are considered outside of the experiencing expertise of dentists in terms of radiology. As such anyone referring for 10x10 scans will be expected to obtain a report from a consultant radiologist. IRMER Duty Holder - yes, that's you! Each Duty Holder has a recommended minimum training requirement. Duty Holders are referrers, practitioners viewing the image, operator for imaging or operator for reporting. Some of these roles may be rolled into one. They are currently unsure as to how often refresher training should occur. 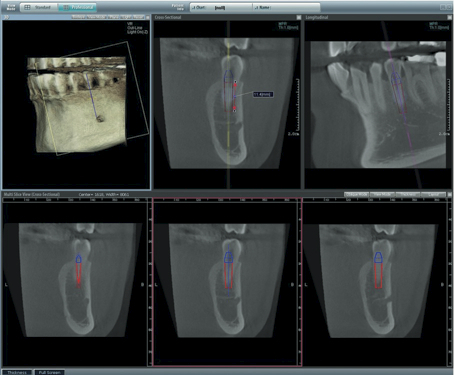 I feel it is our responsibility as the local CBCT provider to develop and provide a course allowing you a simple and easy path through this maze. Numbers will be limited to 8 and this will entitle anyone who attends to a CPD certificate providing sufficient proof that the holder is adequately trained from a IRMER 2000 perspective. Evidence of appropriate training in dental CBCT interpretation, including the use of any imaging software. Please note - If you own a CBCT, yours (or your nurses) qualification in dental radiography does not automatically provide sufficient training for the use or interpretation of the dental CBCT. The cost for the course is likely to be around £395+VAT per person, which should cover you for 3 years. However the powers that be are undecided, so watch this space. We will provide you with a full day course that will guide you through all these new regulations so that you emerge fully prepared to continue with your digital imaging referrals and growing practices. Numbers will be limited to 8 and we will shortly be circulating dates for this event. The venue will be at Crossbank Dental Care in Kendal and I will be delighted to have you all attend our new venue.